Zinc is one of the most ubiquitous and important minerals in our body. 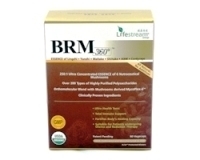 It is required and involved in more than 100 enzymatic reactions. Zinc is also essential for general growth, proper development of the reproductive organs, and healthy nails. In men, zinc is extremely important for normal functioning of the prostate gland. Research have also shown that zinc is required for good skin, wound healing and to prevent scar formation. 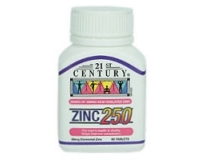 Our Zinc 250 provides elemental zinc derived from amino acid chelate. Zinc amino acid chelate is one of the best forms in terms of absorption and assimilation. Take 1-3 tablets daily, either before or after meals, or as prescribed by a physician. Contains no added sugar, sodium, starch, yeast, artificial flavours/colours, preservatives or animal by-products..